2019-04-13 @ 12:55am– First responders on the way to 56 Liberty Street for a person hit by a bat, the baseball kind. This news report is made possible by: Bat Man 2019-04-13 @ 12:55am-Primeros auxilios en el camino a 56 calle Liberty para una persona golpeado por un bate, el tipo de béisbol. 2019-04-04 @ 1:34pm–#Shelton CT– Shelton Police dispatched to Walmart on Bridgeport Avenue for a man dressed as Santa panhandling. 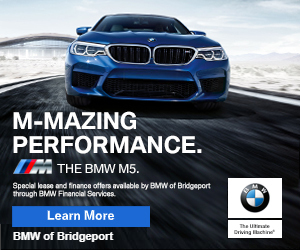 This news report is made possible by: Noticias de Walmart en Shelton 2019-04-04 @ 1:34 pm–# Shelton CT– Policía esta en Camino a Walmart en la Avenida Bridgeport por un hombre vestido como Santa. 8:51pm–#Derby #Shelton CT– Report of a person sleeping on the sidewalk on the Derby/Shelton Bridge. First responders on the way. This news report is made possible by: Noticias del Valle: Una persona durmiendo en el puente 8:51pm – #Derby #Shelton CT – Informe de una persona durmiendo en la acera en el puente Derby/Shelton.